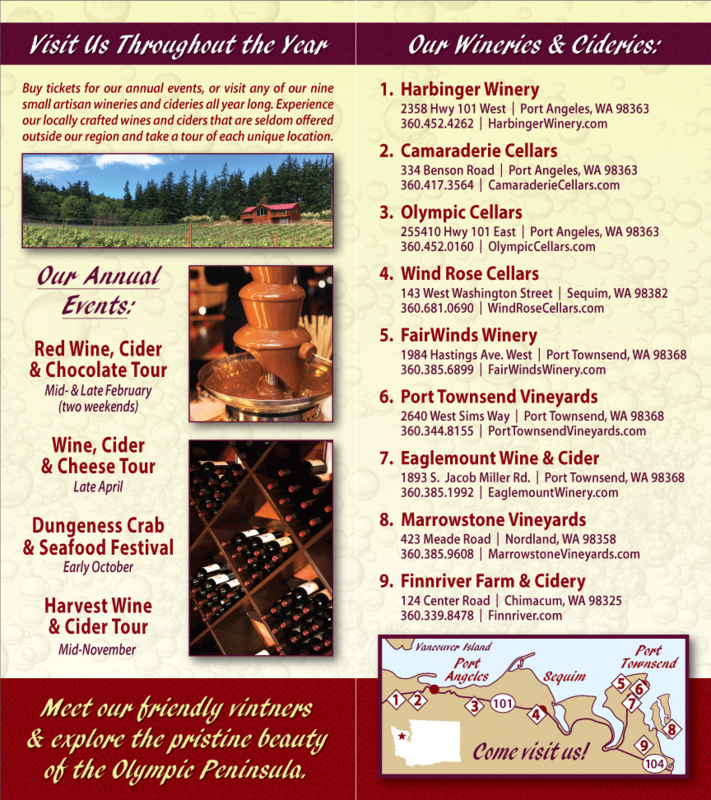 Olympic Peninsula Wineries Association welcomes Eaglemount Wine and Cider of Port Townsend to our group of Washington State wineries. Eaglemount Wine and Cider is located off Eaglemount Road, on a beautiful old homestead near the junction of Highway 20 and Highway 101 at Discovery Bay. Eaglemount Cider of Port Townsend. Eaglemount is known in the area for their several varieties of outstanding ciders: Homestead Cider (made of heirloom apples), Cyser (hard cider sweetened with honey), Ginger Cider (Homestead Cider and organic ginger), and Perry Cider (a slightly sweet pear cider). Their Washington state wines are also quite popular: grapes come from Arianses Vineyard near Mattawa, WA, which is known for producing outstanding wine grapes. They’re then aged underground in American French, and Hungarian oak barrels. Eaglemount Wine and Cider has joined just in time to participate in our 2010 Harvest Olympic Peninsula Winery Tour, which takes place November 13 and 14, from 11 a.m to 5 p.m. It’s an ideal place to stop when traveling between the Washington State wineries of Port Angeles and Sequim and those in Port Townsend and Chimacum.